Walk Your Dog (or Dogs)! Today is the last day of National Walk Your Dog Week, and we are joining in on the Walk Your Dog blog hop hosted by BoingyDog and Paws and Pedals. National Walk Your Dog Week was started to raise awareness of canine behavior issues and obesity. 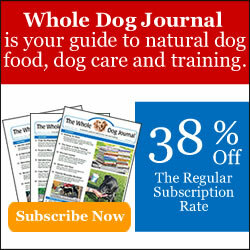 The goal is to improve the health and well being of our dogs, and to get out and walk! Walk your dog (or dogs) – if I can do it, you can too! Back when we only had two dogs, over 9 years ago now, we used to walk a lot. We camped at a rustic campground back then and walking and hiking were our big activities there, they had lots of trails. In the winter we did some snowshoeing at home with our lab mix Maggie and our beagle Kobi. The summer of 2004 we lost Maggie to a tragic accident, and a lot of things changed. That fall we got another beagle, and two months later our two golden retrievers. We couldn’t go back to our campground because they had a limit of 2 dogs per campsite. We sold the camper and decided to spend more time at home. Shortly after getting the 3 puppies we expanded and upgraded our fencing to cover a very large area of our yard for them to play in. They all enjoyed playing fetch so that became our activity of choice. Walking with three puppies was challenging to say the least, so we only walked them occasionally, though we did walk Kobi more often (fetch was not a game he was interested in). Kobi is almost 13 years old now, and as he’s gotten older, I started to realize that walking him more was important for his overall health as he aged. When I started blogging and becoming more aware of dog issues, it came to my attention that just playing in the yard probably wasn’t enough for the other dogs either. They needed more variety in their exercising, and the stimulation of getting out and about. It really came to light when I walked Cricket once and she went nuts when meeting up with two off leash dogs, growling and lunging at them! She had never done that before, she has always gotten along with other dogs. I realized it was probably because she wasn’t getting exposed to new situations enough, and since she’s a shy dog anyway, I hadn’t done her any favors by keeping her home so much. She was showing the signs of being a reactive dog, and that was our fault. So I started walking each of them more. We are doing better at getting out more now. I have always loved walking myself anyway, but sometimes I lack the motivation to get out and moving. I love it once I get out there, but getting myself out is the key. The only challenge we really have is that Kobi has slowed down a lot, and he can’t really handle long walks anymore. He basically has to be walked alone so he can go his own pace (with lots of sniffing). We lost our male golden to cancer this last summer, and that made one other thing difficult. Both of the girls are power walkers and like to go at a fast pace, and they would walk great together. But I’m not willing to leave Kobi home alone when my hubby is at work, so I usually only take one girl at a time (Kobi hasn’t been left alone since we lost Maggie and he did not handle it well then). If my hubby and I want to walk together, we only take one dog, which doesn’t really seem productive! That’s okay, we work around that, and my hubby has been helping more now too. He took up running not long after I did, and when he gets back from a run, he’ll take either Sheba or Kobi for a walk. Cricket plays a lot more fetch and gets a lot of her exercise that way, plus she is my running partner (we are going easy on Sheba right now because of a recent arthritis diagnosis), so usually the other two dogs need their walks more. I also think that each of the dogs enjoys their one on one time with Mom or Dad. We have a lovely rail trail at the end of our street, and we have a farm up the road that lets us walk in their fields. On the street down below us we can walk to a Christmas tree farm. This gives us the ability to change up our route so we don’t get too bored. Occasionally we’ll take the car to the next towns and walk the rail trail along a lake or pond there. We are lucky to live in a place with some variety, but no matter where you are, there is someplace you can walk. Come on, Mom, let’s go!! We still have our ups and downs when life gets busy, but we persevere, remembering how important this exercise is for all our health. We love being outdoors, and walking is the best way to clear my head also. I know as well as anyone how it can sometimes be difficult to get out and walk. There are a million excuses, some are legitimate, but most really aren’t (read a good list from Boingy Dog here). I’m as guilty as the next person of using some of those excuses. Here’s my advice: Don’t get discouraged! If you let yourself backslide, if you succumb to those excuses, persevere. I used to let interruptions to my routine cause me to just give up completely. I don’t do that anymore….now I just get back up and get out again! One thing is for sure: the dogs are always there waiting and ready to go. None of mine have ever refused to go on a walk! Are You Ready to Walk? #DogWalkingWeek Begins Today! Thank you! I can’t say it’s always been easy, and I’m not sure it’s something we really considered before getting the 3 additional dogs. There were times when I wasn’t sure we’d done the right thing…..but once they were all here, we were committed to them, and we do our best! How cool to have rail trail at the end of your street! It looks beautiful! It really is, and it goes for miles and miles in either direction! Thanks for having the hop, we enjoyed it! This is our first time having multiple dogs with different needs, so we are kind of just learning as we go along! We are lucky to live in a rural area, and we don’t often even see other people or dogs. There are a couple houses I have to avoid walking by though because they have loose dogs. I don’t think we’ve ever walked more than two dogs at a time, except for maybe when my sister joined me and would take one of them! We used to have a cat that walked with us! We lived way out in the boonies, on a road with no traffic, and when we would go for walks he followed us. Now all of our cats stay indoors though, and we live on a busier street anyway. You sound an awful lot like me in several regards! I love being out and walking, but getting motivated is a big problem for me, too. And then I feel bad because I didn’t. *sigh* Have you thought about getting a garden cart for Kobi? A lot of senior dogs like them (except my odd old lady from this story)! http://talesandtails.com/?p=1966 It might let him keep up with you and the girls, at least part of the time. I’m glad it’s not just me that lacks motivation! I have thought some about a cart or carriage for Kobi, but more for in the future when he might have more difficulty walking. The one thing that holds me back is the fact that his favorite thing about walks is keeping his nose to the ground and smelling everything. But it might be okay for some of the times. I wish I could find one to borrow and try out though…..because I picture Kobi doing exactly what Lilac did in your story. Kobi is our first senior dog, so it’s all new to us. Just this morning he fell going down the little stairs from our bed….and I felt SO bad, even though he was OK. So true that I’ve never had a dog refuse a walk either! Sometimes when the hubs gets home he wants to go for a walk at night. Sometimes I resist, because I’ve already gone for a long walk during the day, but Rita never refuses, so I end up going along. Once I’m up and out, it’s always good to get the extra walk in. Looks like you have some great places to walk! We do have some great places, though I just remembered we can’t go to the tree farm in the Fall, since it’s hunting season. The man who owns the land is a big hunter, so we have to steer clear! That is great that Rita, and you also, often get an extra walk in! Great post – thanks for sharing your struggles to coordinate the different needs of your dogs. I know that’s a challenge. Right now we are lucky because Jack & Maggie are pretty equal in age and needs. But I know it gets hard when you have to leave one behind – I feel so guilty. But you are right, it’s so important for them to get out, experience new things and live their life. Thank you! I’d still like to do better, but at least I feel like we’ve made a lot of progress over the last year. And I’m getting better at asking my hubby to help when I’m feeling overwhelmed trying to find the time to get 3 dogs exercise individually. That’s wonderful that you are walking more often, and that part of what motivated you to do so was that your dogs were aging. My own vet feels that controlled, regular walking is very beneficial to seniors as well, and I now try to walk my guys more often because of it as well. Thank you, Donna. I am just as routine oriented as my dogs, and I hate interruptions to it! But I am getting better at not letting them throw me off track completely. Thank you for saying that about losing our Maggie. Nine years later and it still brings tears to my eyes, and I really find it difficult to talk about what happened. It does help to know that you understand how that feels. Awesome! Really excellent post – if you can persevere through the challenges you’ve had, anyone can. I’m really moved by your story and experiences and truly appreciate you participating in the hop. Thank you! Thank you! I was happy to join in on your hop, I think it’s great that you had it. I hope some of our words will motivate others to get out there. “I love it once I get out there, but getting myself out is the key. ” This too, is my greatest issue 🙂 We should start a dog walk support group! XD Great article! Thank you! That is a great idea! I think having a pet blog is a support group of sorts though. If you follow the right blogs who have active dogs and are really good about getting out, that does help with motivation. SlimDoggy is one of the best, and joining their PetsMove program helps me a lot also. Dakota is unique in that way, isn’t he, Caren? All of our dogs have liked to walk, so I just can’t imagine! I’d surely use that as an excuse to be lazy. It’s more fun to walk or run with a dog than alone! Walking is one of our very favorite things. Now adding the puppy to the mix is making things a bit different, but we are adapting and we know that she will eventually be able to go on our long walks with us too. Right now we walk once or twice a day all together and then the other walk, just the puppy or the puppy and Katie or I. We can’t imagine not walking. Your Mom does great, Emma. And it sounds like she’s doing good at adapting with the new addition to your household too. Is Bailie learning to walk well on a leash? All of our dogs have been pullers and that was always a challenge for us.